A peek into Diwali Celebrations! "Diwali is such a special and happy time. Beautiful lights, crackers, presents and lots of feasting! It is also a time to share, pray and think of others. Join Gittoo and gang as they learn the magical story behind Diwali - Lord Rama's victory over the demon Ravana and Goddess Lakshmi's visit to earth." 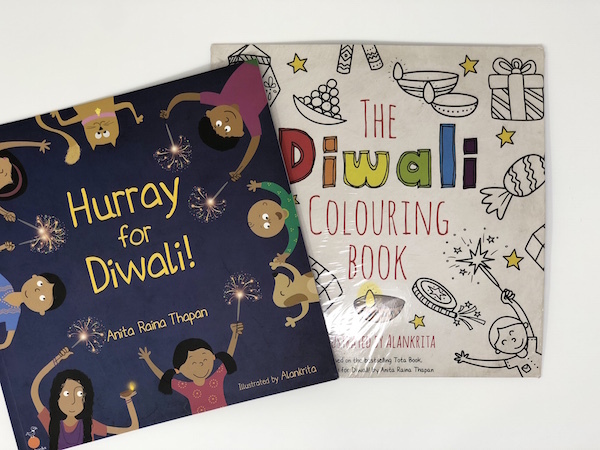 Featuring characters and settings from Anita Raina Thapan's much-loved Hurray for Diwali! 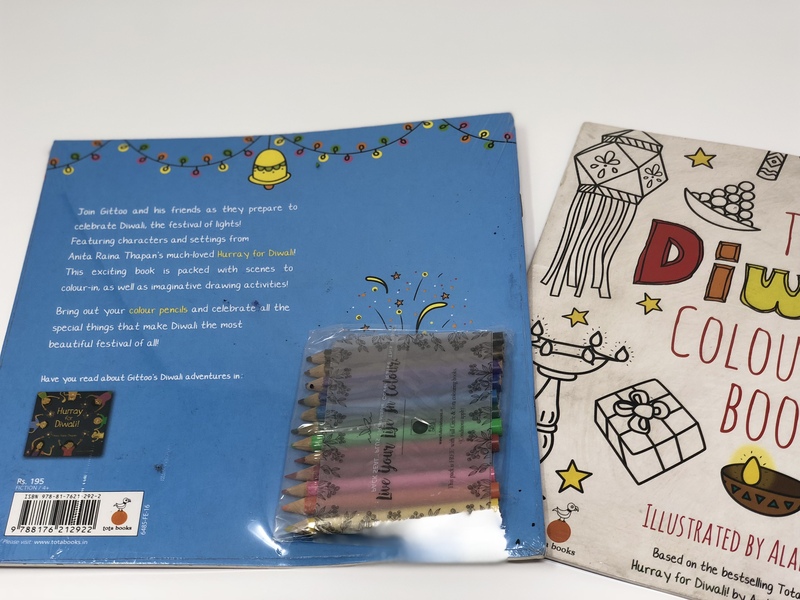 This exciting book is packed with scenes to color-in, as well as imaginative drawing activities! Bring out your color pencils and celebrate all the special things that make Diwali the most beautiful festival of all!